English - My TEDORI, My AFRICA チャレンジ!! My TEDORI, My AFRICA Challenge!! When you hear the word “Africa,” what are the first images that spring to mind? Along with things like “wilderness,” “powerful” and “music,” you might think of challenges like “poverty,” “conflict” and “health.” Indeed, the people we meet from Africa are wealthy in many ways, but at the same time they face multiple issues. 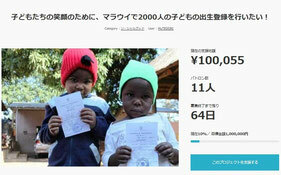 The My TEDORI, My AFRICA Challenge!! was created from the love and compassion we feel as Buddhists or Christians in order to connect our desire for thinking about African issues and start with things we can achieve through specific and concrete action. The TEDORI of the project title stands for six things that Rissho Kosei-kai and the Community of Sant’Egidio see as very important. My TEDORI, My AFRICA Challenge!! will look at the HIV/AIDS epidemic issue and other diverse issues that emerge from the fact that so many children do not have their births registered. The Community of Sant’Egidio is working all across Africa on the issues of HIV/AIDS and child birth registration. As depicted by our logo, we want to do something we can ourselves as lay people, something like the feeling of going to Africa by bicycle. 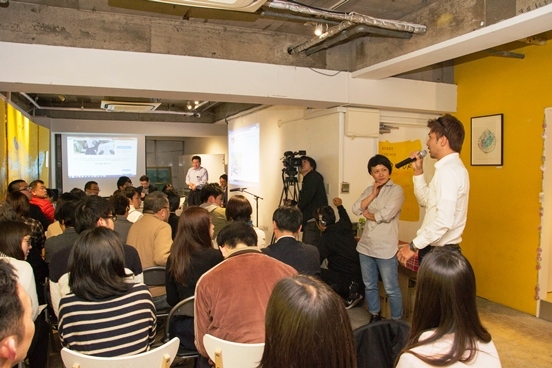 Article posted on Kosei Shimbun Digital. 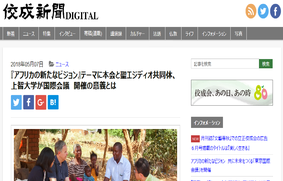 Article about significance of NEW VISIONS OF AFRICA – Tokyo International Conference was posted on Kosei Shimbun Digital ahead of the Saturday, May 19 conference. We hope that you will get to know why this event is so important. 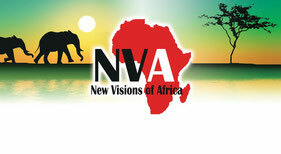 NEW VISIONS OF AFRICA – Tokyo International Conference is to be held on Saturday, May 19. You can participate for one session or as many as you wish. Further details here. Crowdfunding for the BRAVO! 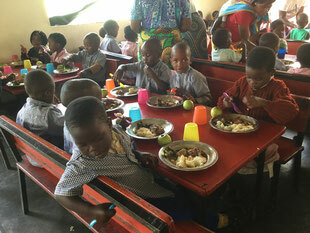 (child civil registration support) project has begun. We are looking to support birth registration for 2,000 children in Malawi’s Balaka District. Further details here. The kick-off event for the My TEDORI, My AFRICA Challenge!! has been held. In spite of the bitter cold, around 60 people joined us. Thank you so much! 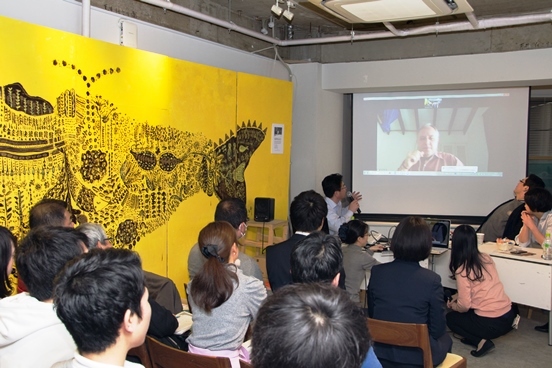 For the “message from the frontline,” Masaki Inaba (Africa Japan Forum) and Natsue Yoshida (Yume wo Tsunageru Messenger - a former high school teacher who took her message across Japan) appeared on the podium, while a video message was provided by Masaya Onimaru of Terra Renaissance. 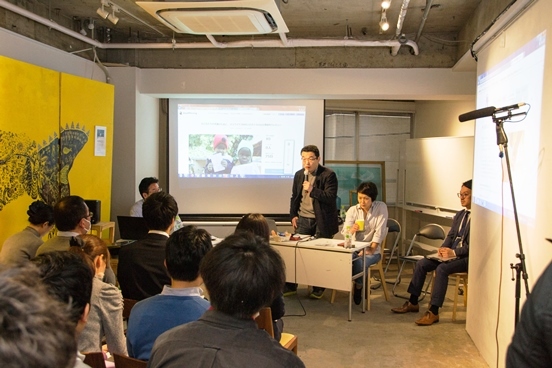 Mr. Inaba covered key points about overseas assistance for Africa, the issue of AIDS and more. His message was, “Engaging in Africa forces you to confront questions like, ‘what does it mean to live a human life? What is society? What is history?’ Amid all of this, children grow into adults.” This is an invaluable perspective for us. 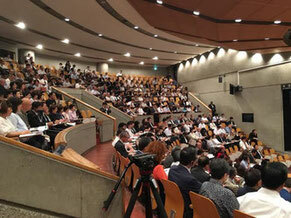 Ms. Yoshida talked about her encounter with a young judo wrestler in Zambia that sparked her quest to fulfil her dreams. 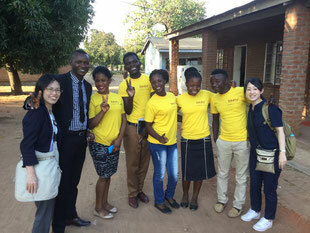 After arriving back from Zambia, she said, “I realized what a great environment Japan is for fulfilling dreams.” Her story, full of excitement and gratitude, could communicate this kind of message very widely. 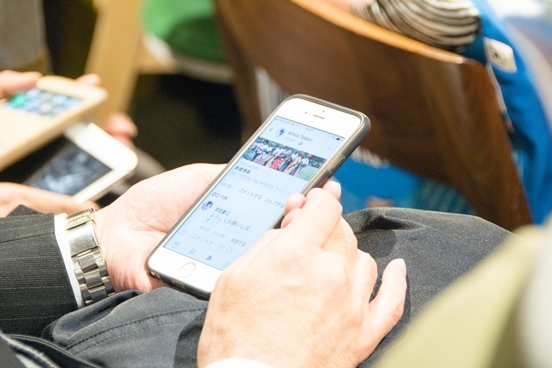 A lecture was also provided by Akihiro Shima, who is in charge of communications for Terra Renaissance, about practical ways of using social media as a communications tool in SNS Dai-sakusen (the blitz of social media network; a social media campaign). Last but not least, crowdfunding has begun for the BRAVO! project (child civil registration support). There will be more news from Africa soon, we hope. Thank you! The kick-off event will hold on Wednesday, March 21 from 14:00-16:00. See the brochure for further details. 2017.12.25　My TEDORI TV Episode 6 posted. 2017.12.25　My TEDORI TV Episode 5 posted. 2017.12.02　My TEDORI TV Epsiode 4 posted. 2017.11.02　Briefing session of the Malawi observation held. 2017.10.27 Introduction to the briefing session of the Malawi observation. A report from Ai Mehrenberger, a postgraduate student interested in the My TEDORI, My AFRICA Challenge!! 2017.10.02　My TEDORI TV Episode 3 posted. 2017.09.02　My TEDORI TV Episode 2 posted. 2017.08.02　My TEDORI TV Episode 1 posted. 2017.08.02　My TEDORI, My AFRICA Challenge!! website launched. What kind of organization is this?